Peanut butter is a staple food in all the kitchen, it is a versatile food choice which can be enjoyed during breakfast lunch and even dinner that’s why we take top 5 best peanut butter in India which is healthy and good for daily eating. It is one of the favourite snack spread choices which is loved by both kids as well as adults. Peanut butter can be used as both savoury and sweet spread. In fact, it is used as the main ingredient to create many unique and yummy dishes. In case you are looking for a healthy as well as tasty spread, then the Disano Peanut Butter would definitely be a great option. It is known to be a great early morning meal as it prepared from roasted peanuts of superior quality. Being a rich source of high protein and dietary fibre, you can use this peanut butter with bread for a healthy snack as well. 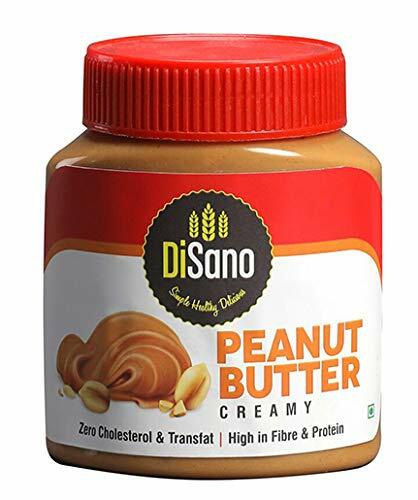 One of the best things about the Disano Peanut butter is the trans fat and zero cholesterol qualities which make it a favourite among the users. Each and everyone can consume this particular peanut butter as it is completely vegetarian. The new Bagrry’s Peanut Butter is made up of natural products that come with the qualities of roasted peanuts. All the essential minerals, vitamins, protein, fibre and Omega 3 present in this peanut butter makes it a healthy breakfast option. 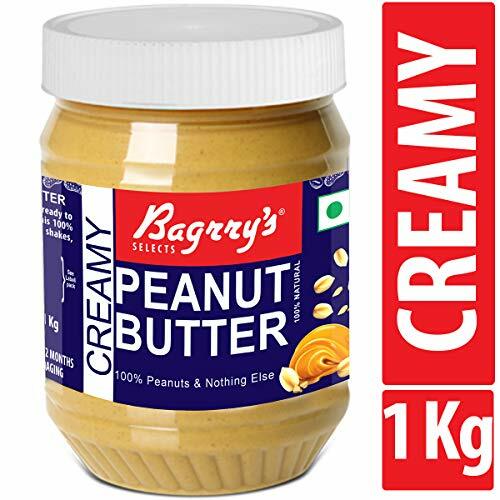 With no preservatives or any kind of added colors, the highly nutritious Bagrry’s Natural Peanut Butter is unsweetened and has no hydrogenated oils. You can eat it or use it as a delicious and healthy topping on smoothies, cereals and shakes. It can be enjoyed as a yummy snack with chapatti or bread. Are you looking for a 100% Vegan Peanut Butter in the market? 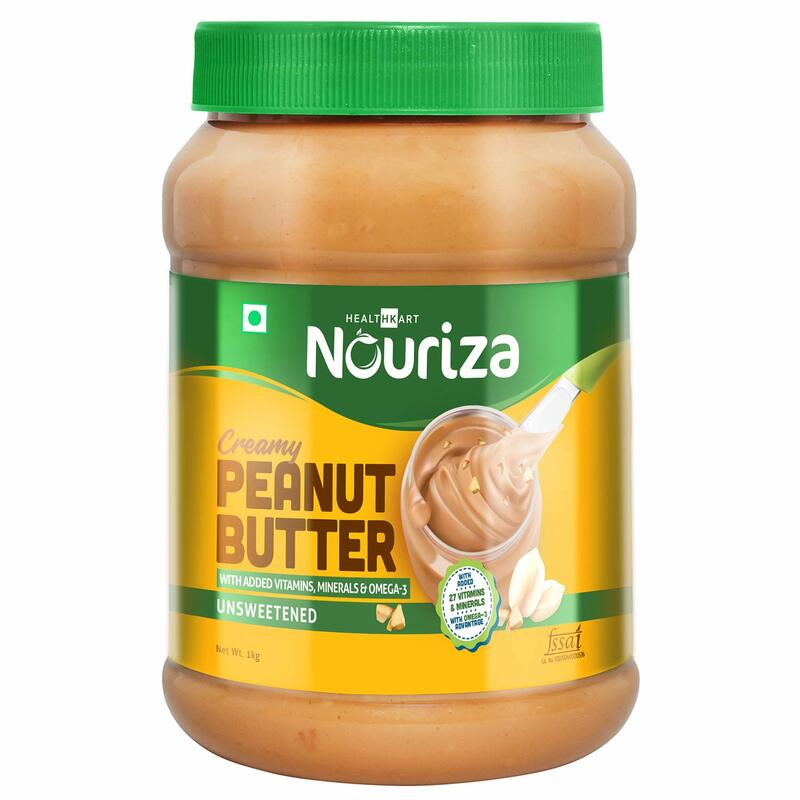 Well, your search ends here as the Nouriza Peanut Butter Natural Creamy is an organically produced product. It comes out as an excellent source of dietary fibre and plant-based ‘protein’. This particular product has all the healthy fats which can be consumed by the active adults, elderly, children and athletes. The Creamy Natural Peanut Butter has no amount of added salt or sugar. With all the nutritive properties and an unsweetened taste, it proves to be a power packed fuel to enhance your energy levels any time of the day. Rich in flavours with the essence of Anfora olive oil. 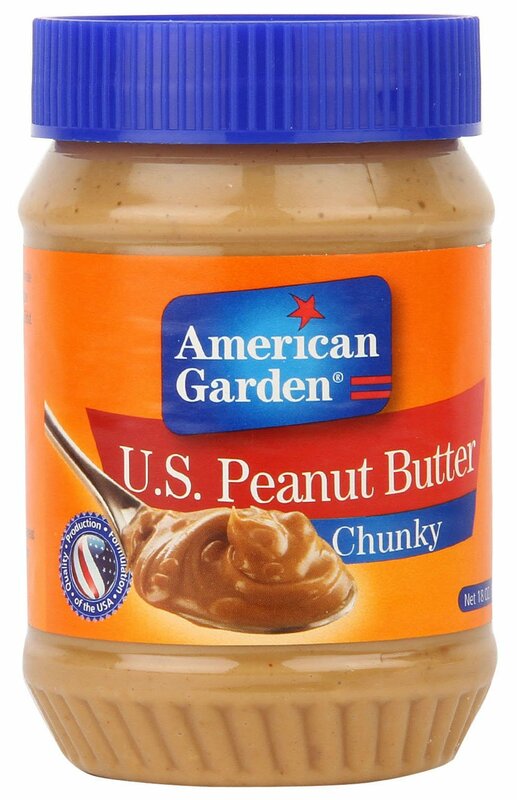 The delicious American Garden U.S. Peanut Butter is quite popular for its authentic ‘American ‘taste that comes in many varieties. It serves to be a great source of protein and fibre which is available as a ‘reduced fat option’. You can enjoy this yummy and healthy peanut butter spread with your whole wheat bread to have a healthy meal. It would provide you with an ounce of energy along with the taste of the anfora olive oil that keeps the flavour intact. With so many nutritive values, this particular peanut butter is a must-try option for everyone. 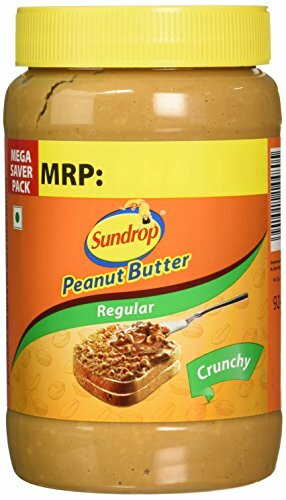 Sundrop Peanut Butter is a healthy and tasty spread that is made up of roasted peanuts. Being a healthy option, it can be consumed by everyone in the family. The peanut butter has zero cholesterol as well as zero trans fats. A lot of people prefer this particular peanut butter due to its rich source of proteins that comes to around 25% with each serving. In fact, it has been observed that 11/2 tablespoons of the Sundrop Peanut Butter are as nutritious as a huge glass of ‘Cow’s Milk’. Thus, it definitely proves to be a nutritious choice for a healthy meal in the day. With no added sugar or any preservatives, the all natural peanut butter from Butternut Co. is a great source of essential minerals and vitamins. The product is completely made with the use of only one ingredient. There are no added salt or oil in this particular peanut butter. That is why you would get all the positive qualities of the peanuts every time you enjoy a meal with it. You can simply add this vegan peanut butter to your Smoothie, bread or cereals to have a healthy and nutritious snack. It would provide you with all the essential protein, Vitamin E and fibre. 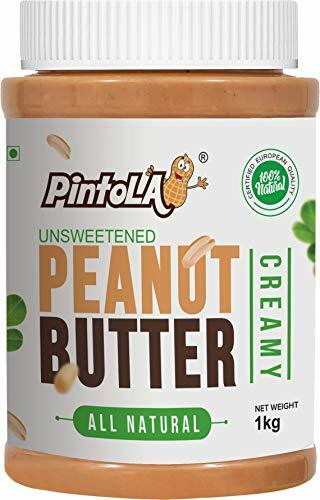 Pintola’s All Natural Peanut Butter is being made up of the most excellent grade, crunchy, nutritious and fresh peanuts that prove to be a rich source of energy. It contains no amount of hydrogenated oils with an unsweetened taste. No kinds of preservatives, sugar, salt or trans-fats are added in this product. In every serving, you would only be able to enjoy the goodness of natural ingredients and high-quality peanuts. Whether you have it as a spread on your bread or as a topping on your smoothie, it would merely make your meal healthy and super nutritious. 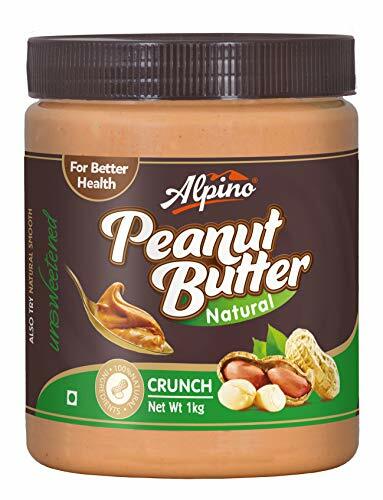 Known to be one of the healthiest and purest peanut butters in the market, the Alpina Natural Crunch Peanut Butter is a gem of a product. It is made up of best of the best peanuts and provides the edge of taste to the regular nutritious diet. With 100% trans-fat and cholesterol free qualities, you would feel absolutely speechless with every bite. There are no kinds of stabilizers and extra added sugar in the product. Being 100% vegetarian, it would turn out to be a great source of essential vitamins and minerals in your everyday healthy meal. 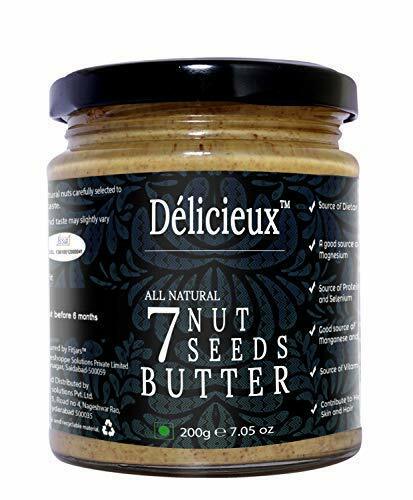 The Delicieux Stone Ground 7 Nut and Seeds Butter is made up of 7 different elements – Almonds, Brazilnut, Cashew, Hazelnut, Flax seeds, Chia seeds and pumpkin seeds. All the mentioned elements are finely roasted to bring out the true essence of the ingredients and add the dose of nutrients to the product. Being a vegan food product, it contains no amount of cholesterol, preservatives, sugar, salt or dairy. In fact, it also peanut free and Gluten Free. You can enjoy the extreme richness of the 7 nuts and seeds that provide an excellent amount of health benefits with each serving. 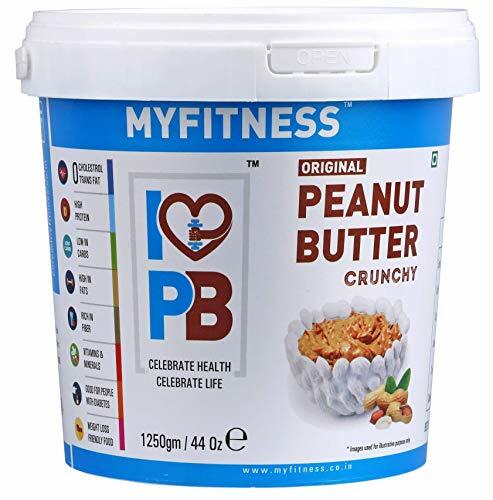 The MYFITNESS Peanut Butter is a high-quality product which is made up of fresh and crunchy peanuts. It is known to be a fantastic source of protein and fibre which is suitable for children, adults and elderly as well. Being a nutritious food product, it can be consumed as a spread on the bread or as a topping on the smoothie. The MYFITNESS Peanut Butter is a pot of energy that makes sure you love it with every single serving. It is completely cholesterol free and trans-fat-free. It offers only the good qualities of peanuts and soya that makes it quite rich in minerals and vitamins. How To Select The Best and Healthy Peanut Butter? The peanut butter itself is a superfood, it is loaded with a high amount of natural protein and fibre. It contains a wide range of vitamins and minerals which keeps the body fit and fab. The peanut butter contains some amount of monounsaturated fats and has heart-healthy polyphenols. The main ingredient is peanut and it is loaded with good fat but it is not advisable to gulp down an entire jar of peanut butter in on go. It is advisable to take 25-30 grams of serving each day. It can be used like butter or spread on your favourite dish. 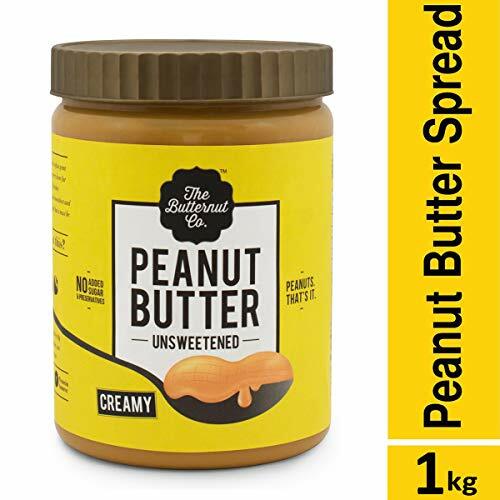 It is must to select the peanut butter which is made with 100 % peanut, This will help you to stay out of unnecessary ingredients and you get the best nutty taste every time. the best peanut butter in India usually contains a good amount of peanuts which has the goodness of 80-85 % peanuts. The light variant of peanut butter consists of just 60 % that means the light products are 25% less on fat content. Many brands of best peanuts in India contains another ingredient apart from peanuts, sugar is one such ingredient which is added to get the sweet buttery taste. Always opt for the best peanut butter in India which is less in sugar content. Peanut butter has got both sugar and nutty taste, this is because there is one more ingredient added to the list that is the salt. Many popular brands of peanut butter contain good amount out salt, always look for the one which has 100 grams of less presence of sodium. How To Test Peanut Butter? While selecting the best peanut butter in India, always opt for the one which is neatly packed, preferably a glass jar with lid or a pouch with cap, this will help you to preserve the remaining peanut butter after every use. You can choose the dark roast, American style or organic or smooth or crunchy peanut butter. The choice is totally yours. The best peanut butter in India is the one which tastes amazingly crunchy, smooth and lip-smacking. Taste the sample and look for the one which you liked the most. There are many popular brands of peanut butter in India, each one offers a unique blend of flavours. Based on your taste preferences, you can opt for the best peanut butter. Always choose healthy organic peanut butter which contains a high amount of peanut and low amount of salt. Also, keep a check on the preservatives used it peanut butter.